I’ve read topics that talk about using plugs, bulbs etc. as an extender but while looking around I can’t seem to find information on which devices specifically can be used as an extender and which do not work as an extender. Is there a spec for each device that allows it to double duty? Ideally cheapest possible as it I don’t need anymore bulbs or plugs but at the end of the day I just need one that works. You don’t have to do anything special: that’s how mesh works. So switches, plug-in pocket sockets, plug-in sensors, in wall micros, and wall outlet’s: they should all work. A number of light bulbs will work, but they tend to have some problems and are not usually a good choice. What country are you in? The device selection does vary somewhat, but in both the US and the UK most people just use plug-in pocket sockets. They tend to be less expensive then wired in devices, they are obviously easier to use, and you can move them around if needed. See the following FAQ. Start with post 11 in that thread, then go up to the top and read the whole thread. As far as bulbs, you can try the tradfri bulbs, they seem to lack some of the repeater problems other brands have and they are quite inexpensive. But pocket sockets are more likely to work, and you don’t have to worry about someone turning them off at the switch. In the US, there are a lot of choices. Lowes Iris makes one which works as both a zigbee repeater and a Z wave repeater (that’s very unusual), so it’s popular for that reason. But check to make sure it is the 3210 model, they make a bunch of other plugs as well that don’t have the same features. It will end up showing up as two devices in your smartthings account. It will be a controllable on/off switch as a zigbee device, and it will be a zwave repeater (but not controllable) as a separate device. Whilst the plug itself can only be controlled over Zigbee, it also acts as a Z-wave routing device. This means it can extend your Z-wave network range, but cannot be controlled via this network. And in late 2018, Ikea introduced a pocket socket in their Tradfri line which is a simple basic on/off switch with one socket that works well as a zigbee repeater with smartthings. The product description will say that it needs the tradfri gateway, but you can use the smartthings hub instead. At the time of this writing, It also works well as a repeater for Xiaomi sensors, which many other brands do not. Cost is only $9.99 in the US and £9.99 in the UK. It is also available in other European countries with the local plug format. The tradfri bulbs Are also good zigbee repeaters, and those are on the official “works with smartthings“ list. note that the handheld buttons and remotes in this line do not yet integrate fully with Smattthings, but the bulbs and the pocket socket do. But there are a lot of brands. Note that if you use ANY (subject to correction) Xiaomi sensors, specifically ANY motion sensors, then using an Iris plug as a repeater is guaranteed to make your Xiaomi sensors drop off the network. Good point. The Xioami devices are very inexpensive, but also intended only to be used with their own hub. They tend to be idiosyncratic on other networks. There is discussion in the DTH thread for those devices about what repeaters will work well with them. In particular, the IKEA Tradfri bulbs and pocketsockets seem to work well with Xioami as of this writing. Of course that why my distance is breaking down, I have six Sengled bulbs so they’re doing nothing to help. I’m located in Canada so may try a couple Samsung ST plugs. They seem to be the cheapest plugs that I can find. Thank you everyone for the info. Going to try and pickup a couple plugs to help my network. But of course you may prefer the ST for other reasons, particularly size. 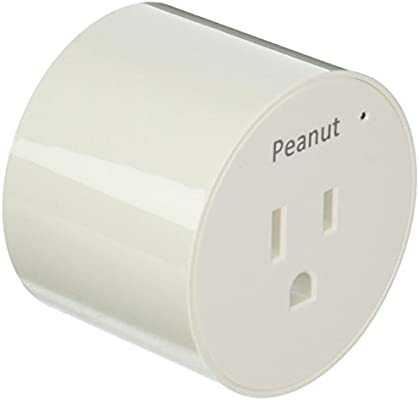 The Securifi Peanut plug is often less expensive as well, although its price tends to vary. Devices which work with “simple setup” on the Amazon Echo Plus usually also work with ST, and that’s often a good place to look for zigbee devices. And again the IKEA tradfri pocketsocket, which you can only get from IKEA right now, is the least expensive I’ve seen. IKEA - TRÅDFRI, Wireless control outlet, , You can use TRÅDFRI control outlet to connect a coffee maker or other small appliances to the app and TRÅDFRI gateway so that the appliance can be turned on or off with the app’s timer. Thanks! May order a Sylvania plug today. Too bad “TECKIN” doesn’t use Zigbee, they seem pretty popular but wifi only by the looks of it. Cheap are the Ikea Tradfri bulbs, especially the cheapest with GU10 spot and E12 candle fitting, $9,99. Since you are in Canada check Canadian Tire for the sylvania plug. I’ve been seeing them on clearance the last few weeks. 2019 update: The IKEA Tradfri plug-in zigbee pocket socket is available. In many countries, is very inexpensive, works well with smartthings, and is a good zigbee repeater including for the Xioami sensors. $9 in the US and £9 in the UK. The associated handheld remote will not work with smart things, but the pocket socket works fine. It’s just a basic on/off single outlet device, but definitely worth considering as a repeater. The initial reviews were bad but that’s because people were expecting it to work with apple’s HomeKit, like the rest of the tradfri line, and It doesn’t yet. When evaluated just as a zigbee device there’s no problem with it. 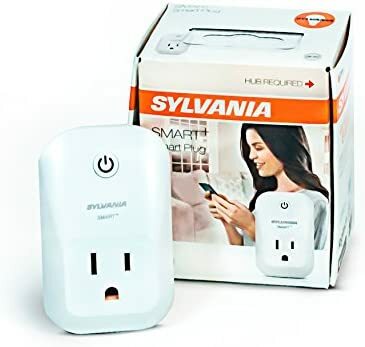 I have a Sylvania smart plug in my garage to extend signal to my driveway lights and floods. I also have lots of Aqara door and window sensors and motion detectors downstairs, none of them seem to have any issue with the smart plug. 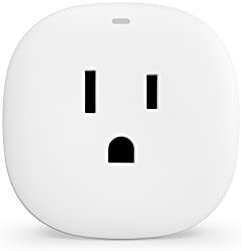 My only issue with smart plug as an extender is when it’s turned off, my garage lights and floods goes unavailable, i.e., I cannot use them for any kind of automation. I am probably better off using a wall outlet or a switch. It should continue to work as a repeater even when you turn off the switch. It’s only if it loses power altogether that it won’t work as a repeater. So something odd going on. That was my expectation when I bought the plug. It becomes useless as a home automation tool otherwise if it needs to be always on.